If you create music, you’ve GOT to try doing it in quad. The experience of sitting in the middle of music you create while your sounds rotate around you is like none other. I’m hooked. 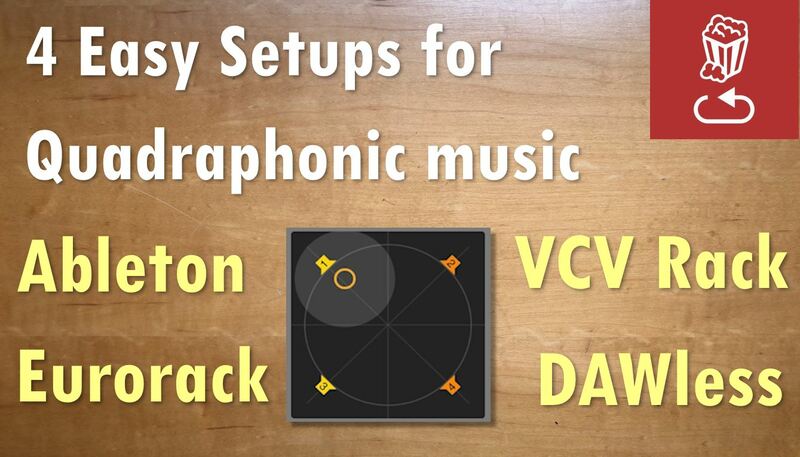 In this video I walk through four potential setups for making quadraphonic music – with a DAW, using Eurorack modules, using VCV Rack, and I also propose a solution for DAWless set ups. The “secret” to creating quadraphonic music is really just about different ways of moving audio, controlling its level and timbre from one speaker to the next. The effect though is, in my opinion, magical. The quadraphonic DAWless project for VCV Rack is available on my Patreon as well. You can download quadraphonic versions of some of the jams in this video here.